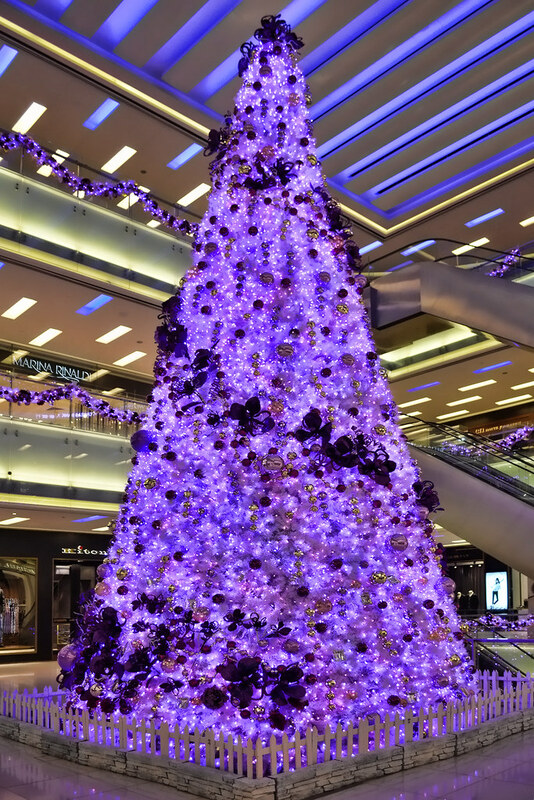 Following the purple-themed Christmas tree at ION Orchard, here’s an even more spectacular Christmas tree in that gorgeous shade. 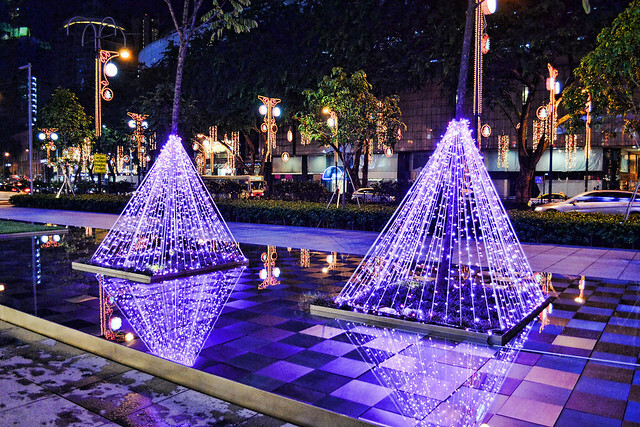 This unusual Christmas tree can be admired at Scotts Square in Singapore. With gold and purple baubles and purple ribbons as its ornaments, this is my personal favourite Christmas tree this year. From far, it resembles a giant candy floss, kinda like that pink Christmas tree at The Cathay a few Christmases ago. 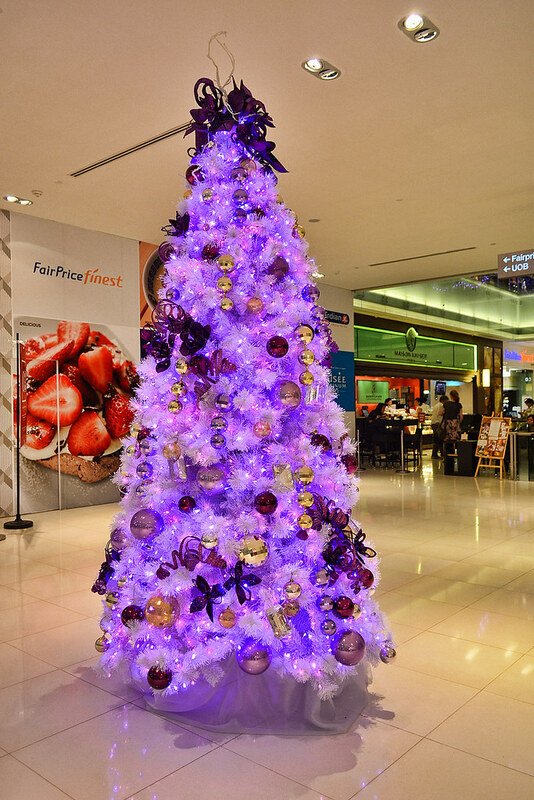 Along with the magnificent flagship tree are several smaller Christmas trees – also in purple – scattered around the mall. Someone at the mall is clearly a big fan of the colour purple. 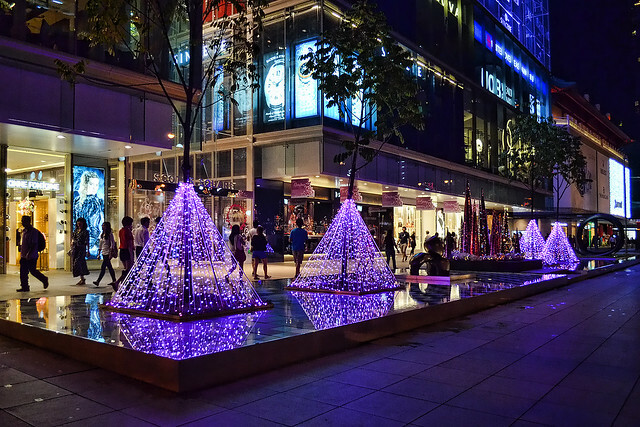 It is used liberally in the Christmas déor which can be spotted along Scotts Road.